Alligator clip for connecting directly to your battery. With the GC017 you can use the power supply directly from your battery. 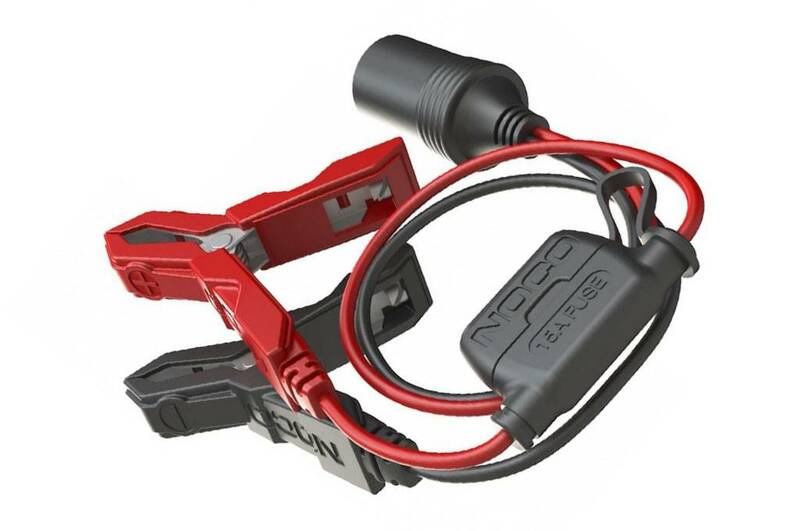 On one side of the Noco GC017 cable are crocodile clips that you can attach to the battery poles. On the other side of the GC017 cable is a 12V cigarette plug connection. 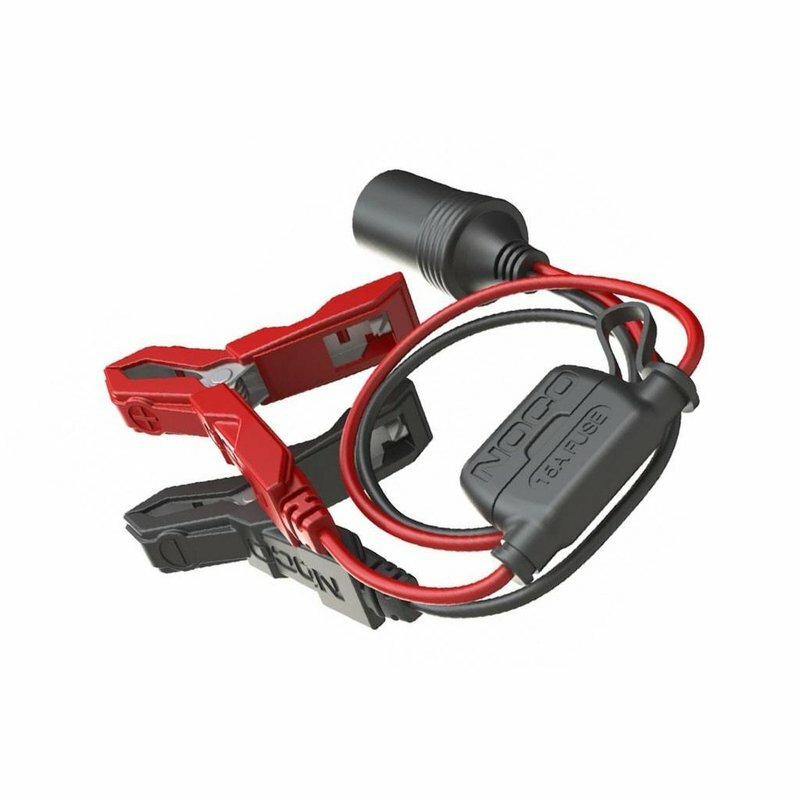 If you have connected both the crocodile clips to your battery, the cigarette connection is supplied with electricity. You can then connect your devices to this. The cable has a total length of 60,96 cm.